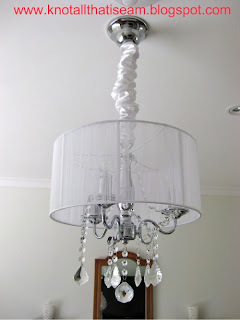 I'm so in love with our new lights we had installed yesterday. 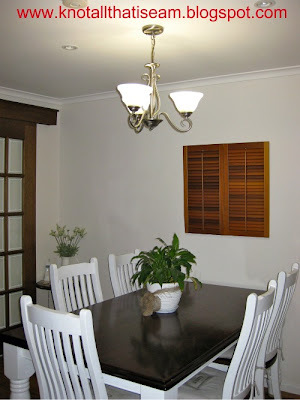 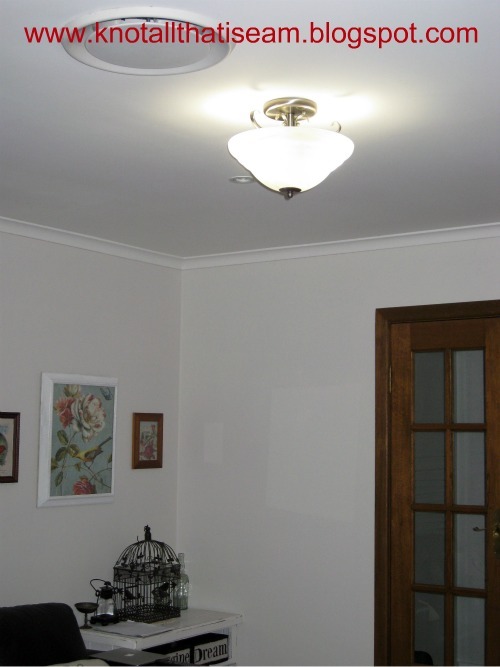 The previous owners of our house had installed down lights throughout, but we decided it would look better and be more energy efficient and cost effective to have pendant lights installed. 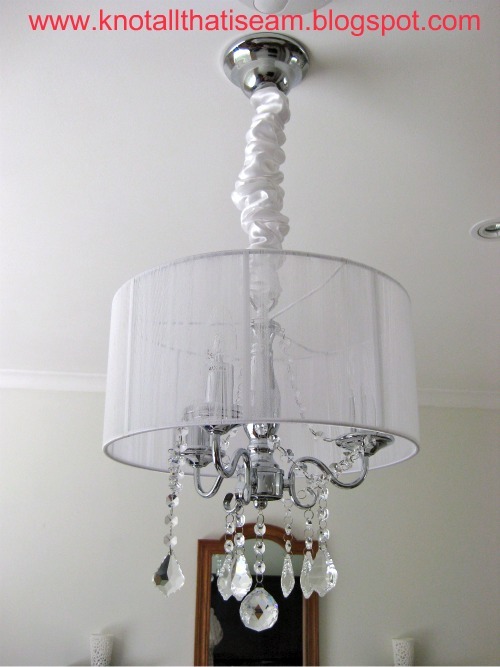 Dining Room - Brushed chrome 3 light chandelier with alabaster shades. 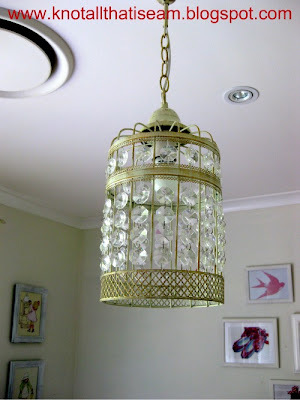 Holly's Room - Antique metal bird cage design with clear crystals. 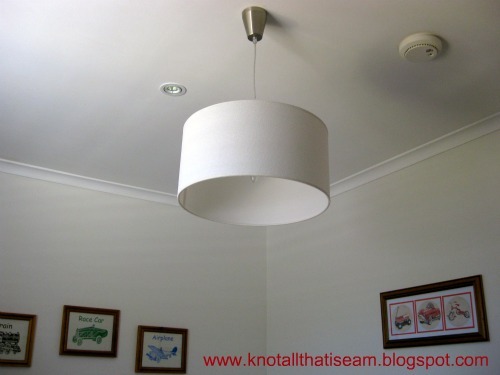 Lochie's Room - White Drum Shade. 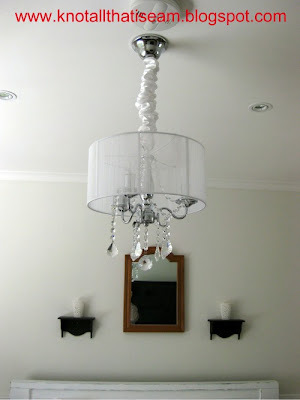 Main Bedroom - White and silver 3 light chandelier with drop crystals and white string shade.